BloodStories: Resistance and Resilience is a safe creative space for all identities to write, right, rite, together. Facilitated by Jenuine Poetess, this event invites participants to gather in circle to write and share in three rounds. The theme is centered around bloodstories—as they pertain to global & community justice/injustice; to definitions & expressions of family, of kinship; and to identity—our own pulsing truths. 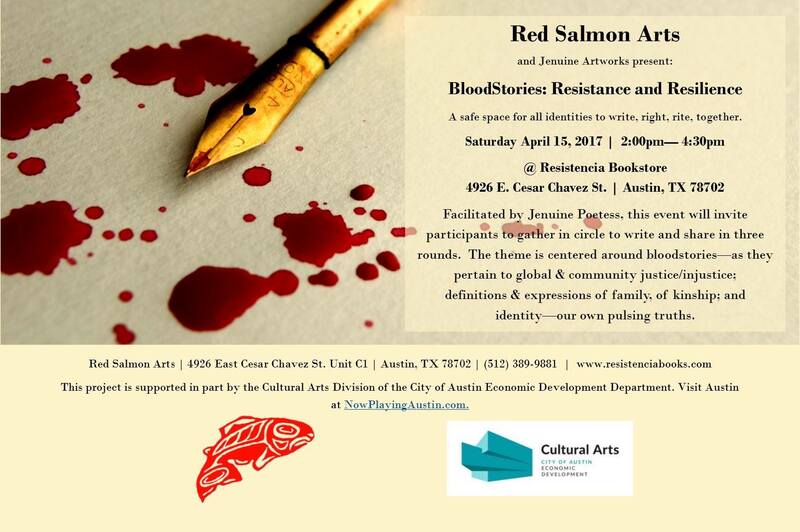 Jenuine will have copies of her chapbook, BloodStories, for sale for $12 and all sales will be donated to Resistencia Bookstore to support their continued community programming.